We don’t get a lot of parades on Beacon Hill, but this Saturday, May 11, a Mother’s Day parade will start at Stevens Place Park (otherwise known as the triangle park) at 2 p.m. and parade for about six blocks, ending at Roberto Maestes Festival Street next to Beacon Hill Station. All who want to participate are welcome, and should gather at Stevens Place Park at Beacon Avenue South and South Stevens at 1:30 p.m. Bring strollers, tricycles, banners, signs and festive attire. The event will also feature an information fair, speakers, face-painting, balloons and music. The parade is sponsored by Sisters Organize for Survival and the Pacific Northwest Alliance to Free Marissa Alexander. For more information, contact Helen Gilbert at (206)722-6057, or at Sis4Survival@gmail.com. Photo by Charles Willgren, via Creative Commons. 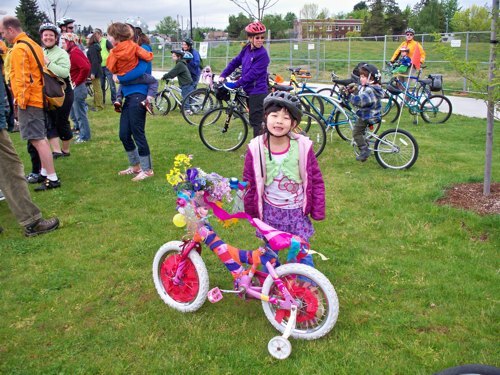 A “people-powered” celebration is coming to North Beacon Hill on May 21 when cyclists, pedestrians, park fans, and other neighbors take part in the People-Powered Park Parade and Lewis Park Celebration. 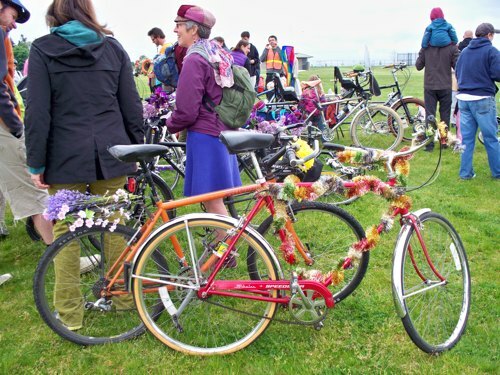 The PPPP is a bike and walk parade that will tour the proposed bike boulevard on 17th and 18th Avenues S. The parade will include a bike decoration contest with prizes, and a pedal-powered float! 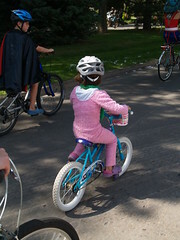 Paraders should meet at Jefferson Park Playground at 11:30 a.m. The parade will leave the park at noon, and arrive at Lewis Park at 1 p.m. You can see the parade route at this PDF link. When the parade arrives at Lewis Park (904 Sturgus Ave. S.), the event turns into a celebration of the park’s restoration from 1-5 p.m., featuring free food and BBQ, entertainment, park tours, and urban forest restoration information.